…and the Mushroom March (it’s actually October) begins! A spontaneous adventure the other day following a rainfall with a few good friends—Nicole, Sam, Alex, and Amy—led to quite the haul of mushrooms! For the most part of our hunt, we were content with a mediocre sized bag of chanterelles, angel wings, chicken of the woods, many inedible species and about a handful of other species (edible but some were quite unpalatable). We decided to follow a path that would eventually lead us to our vehicle and Voila, chanterelles everywhere! I relate finding chanterelles like finding gold; their colour resembles that of the early stages of the sunsets seen here on the west coast. The five of us filled our bags full of chanterelles, selecting only the largest as to let the small ones grow for a future visit. 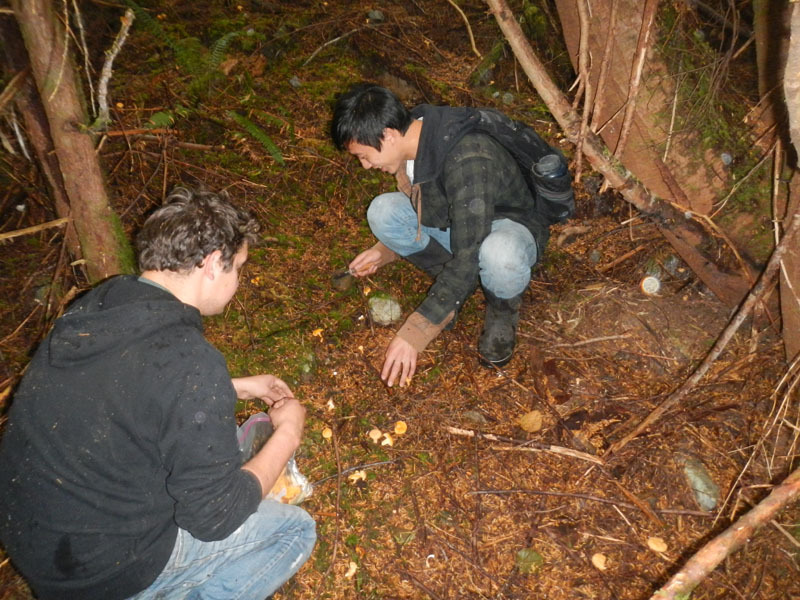 Mushrooming with friends is something quite special, as we now share this prized mushroom spot. With our large harvest, the only thing to do was to have a mushroom feast! 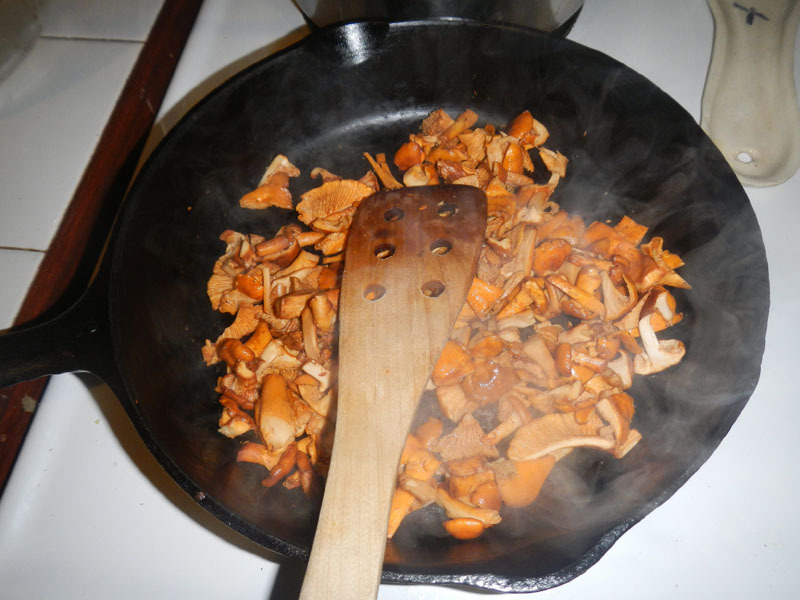 Some chanterelles were prepared in the most common way, on top of fresh pasta with a creamy cheese sauce. I also decided to make a savoury chanterelle-onion pie, which was very delicious. We also tried some coral mushroom species. Some awful, some just OK. What a successful day! Mushroom time is a marvelous out here for those that seek such thrills…Yum!